Controlling feelings of anger can be extremely tough. Maybe this is because you were never given appropriate examples of how to deal with intense emotions, which led to an inability to effectively problem solve. Maybe the issue being dealt with is too much to handle. Or maybe it actually feels good to release strong emotions such as anger through aggressive means. While many individuals choose not to deal with anger and shut out their emotions, others overreact by yelling, using profanity, hitting, throwing objects, engaging in self-injurious behavior, and putting down those they love. Often times it feels as if there is a loss of control and your actions take over. Some of these symptoms are normal. However, in most instances there are more effective ways to express one’s anger that will result in better outcomes and improved relationships with others. When working to resolve anger issues and learn how to use appropriate coping strategies, you first want to learn where the anger is coming from. 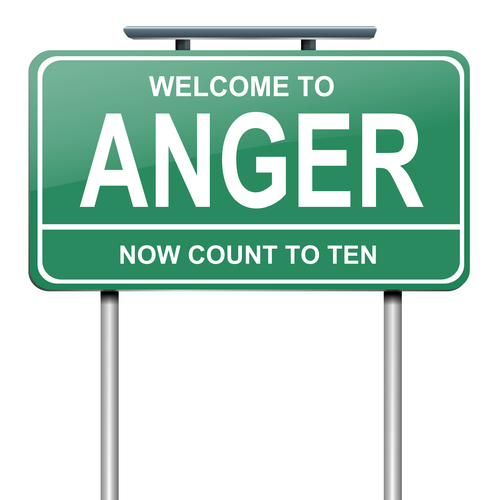 Learning what is at the root of the anger will shed some light on what the problem is and can provide some relief in itself. Doing some self-exploration and/or seeing a therapist for individual sessions will also give clearer insight as to what the cause is. Additionally, there are several actions that can be taken on your own to help control your anger and communicate more effectively. Take a time-out: When you feel yourself becoming upset, excuse yourself and take a time-out to either think about the most appropriate course of action or redirect your thoughts all together. Often when we become angry, it is difficult to see the issue clearly, as our emotions get in the way. By removing yourself from the situation temporarily, you will allow yourself to calm down and eventually understand the problem more objectively. Practice deep breathing exercises: Close your eyes. Breathe in slowly to the count of 4. Breathe out even slower to the count of 6. Practice this for 5 minutes, 3 times a day and focus on nothing except for your breathing during this time. At first, practice this skill during instances in which you are not upset. By mastering the skill while in a calm mindset, you will have the ability to apply the technique during situations in which you are angry. Change negative thought patterns: Try and recall or be aware of your thoughts, particularly when you are feeling angry. What are these thoughts telling you? What meaning are you making of them? Are they valid or logical? Is there factual evidence to support the negative thoughts? Is there a plausible explanation? You will often find that cognitive distortions are getting in the way of thinking rationally. Some of the most common cognitive distortions include catastrophizing, blaming, overgeneralizing, and personalizing. Learn to become aware of your negative thoughts, stop them before they spiral out of control, and replace them with logical and more positive thoughts. Communicate effectively: Once a break from the situation is taken and calming techniques are used, return to the issue and communicate. As a speaker, use “I” statements by telling the other person how you feel instead of blaming him or her by using “you” statements. For example, you might say something such as, “I feel sad when you don’t come home at a decent hour and I don’t get to spend time with you” versus “You always stay out late and don’t even care about me.” As a speaker, you also want to avoid using black and white language such as always, never, etc. When we exaggerate by using back and white language, it automatically puts the listener on the defense. As a listener, validate what you hear so that person with whom you’re speaking knows that you are listening. Let him or her know you are listening by repeating back what you heard. Validate their feelings and experiences. Try and put yourself in his or her shoes. Be responsive and offer fair solutions. Instead of thinking about what you will say next, think about and process what you are hearing. By becoming a better communicator, you will not only resolve issues more successfully. You will also have the ability to efficiently problem solve, see problems from different angles, and prevent feelings of anger from taking over.